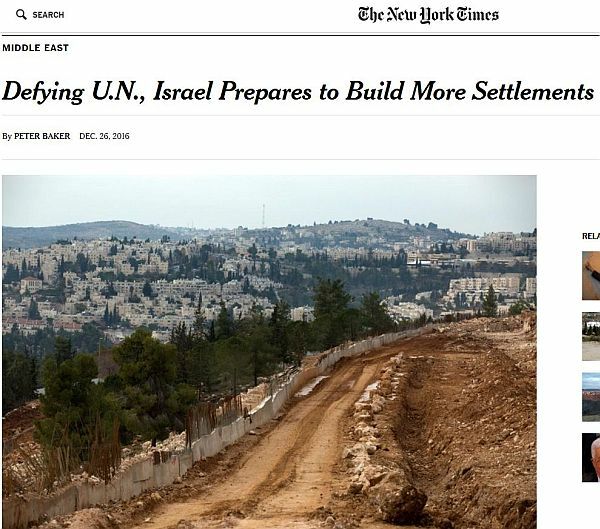 A December 26, 2016 online New York Times headline wrongly referred to Israel building “More Settlements.” After contact with the paper, noting the print version carried an accurate heading that said Israel “Vows to Expand Settlements,” the online headline was corrected. Israel is not building more individual settlements, but is expanding existing ones, which is a key difference. We commend The Times for the correction.